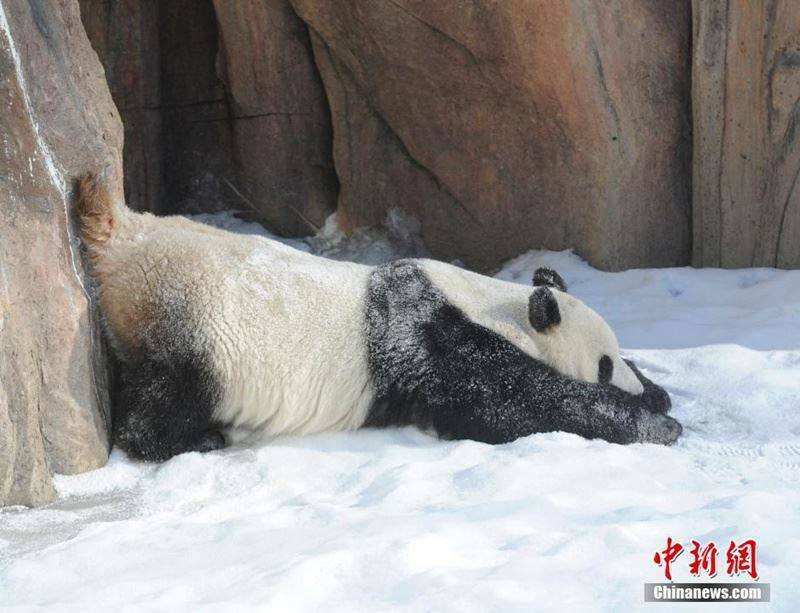 Two giant pandas were enjoying a snow day at their new home at the Siberian Tiger Park in Changchun, Jilin Province on December 5, 2015. 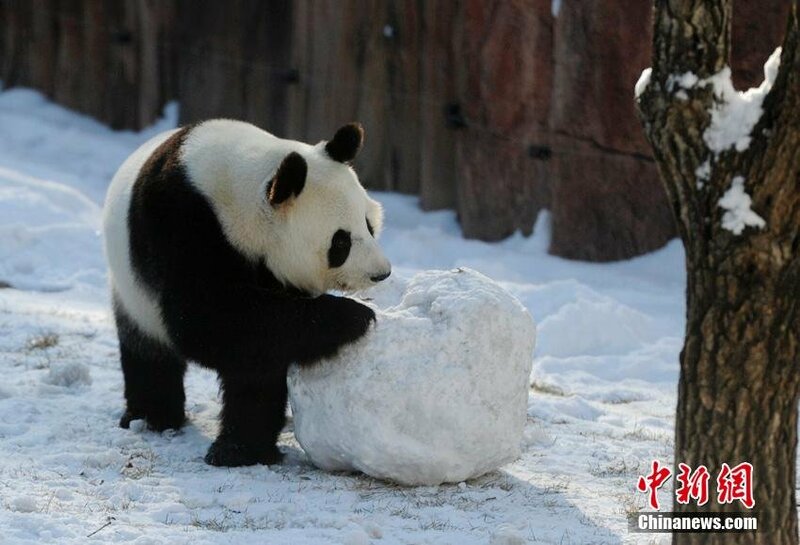 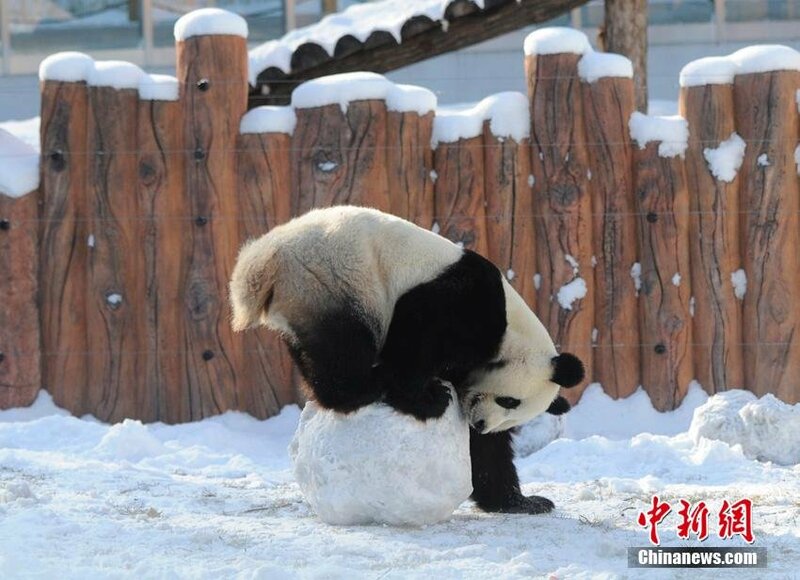 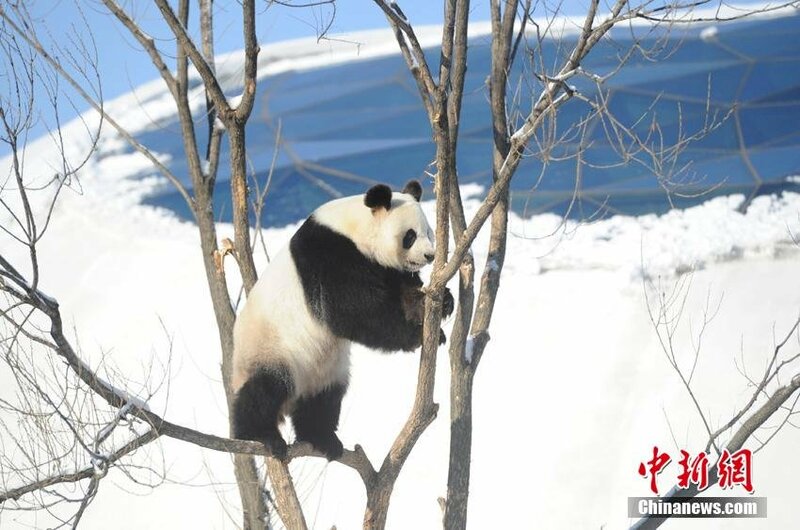 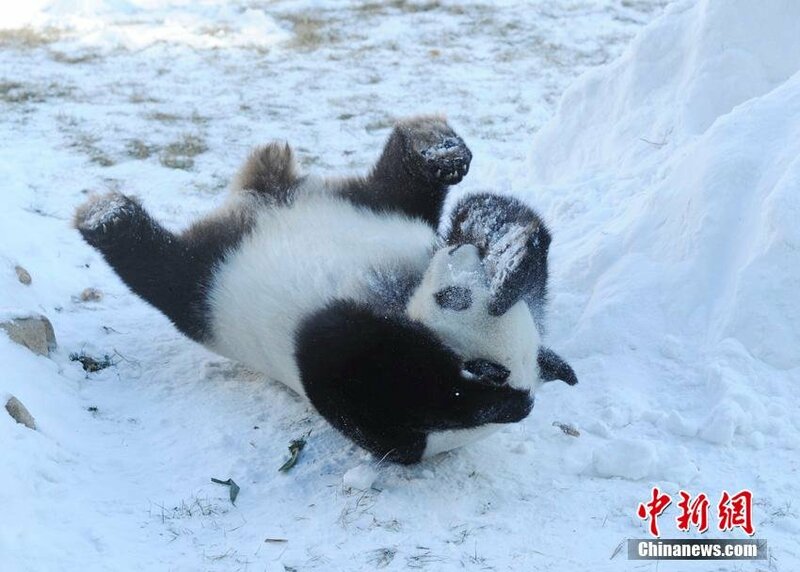 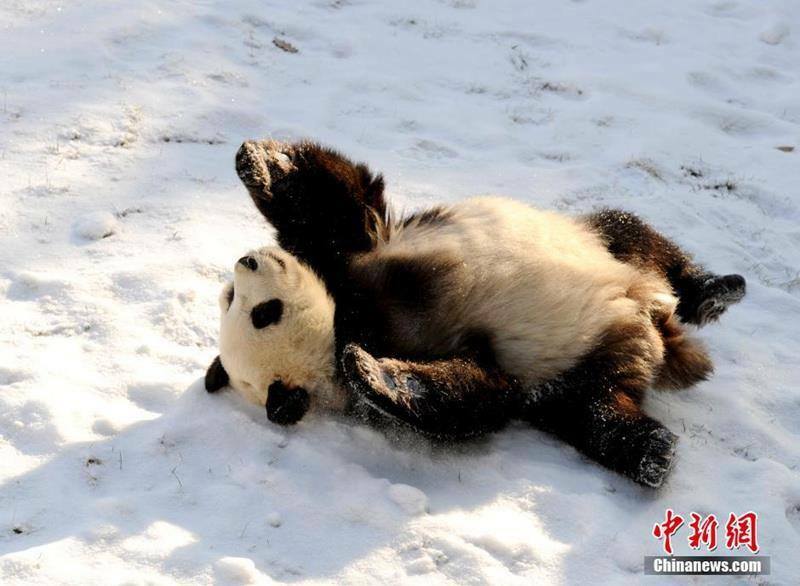 Jia Jia and Meng Meng were seen playing with snowballs and climbing trees in their snow-covered habitat, reported the Chinese language China News Service. 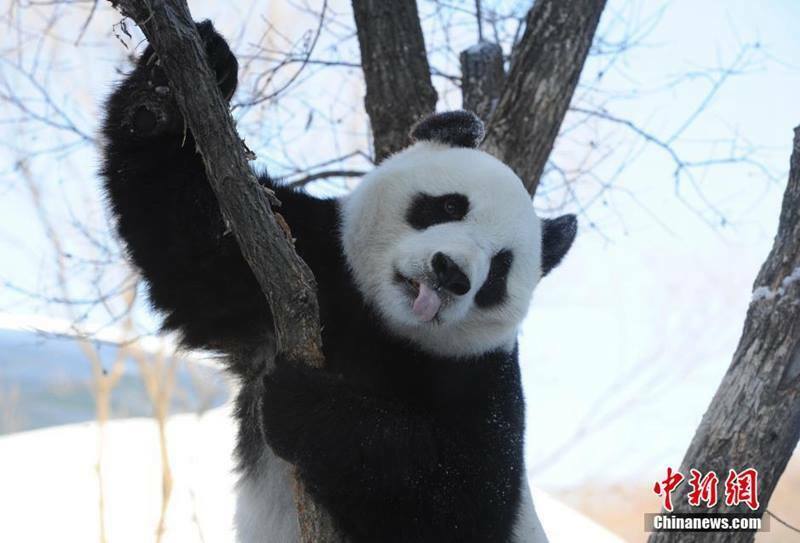 The eight-year-old male and seven-year-old female have been living in the zoo since June. 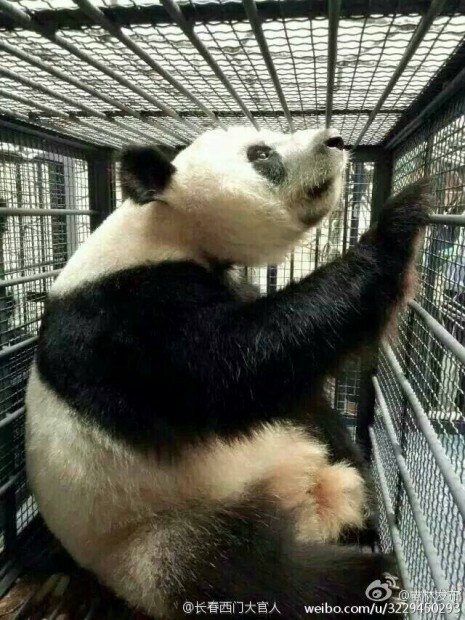 The pair is on loan to the park for three years. 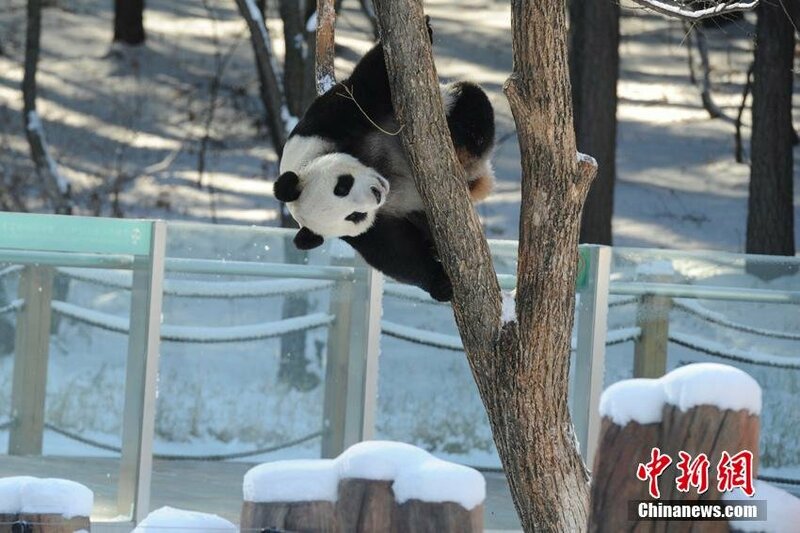 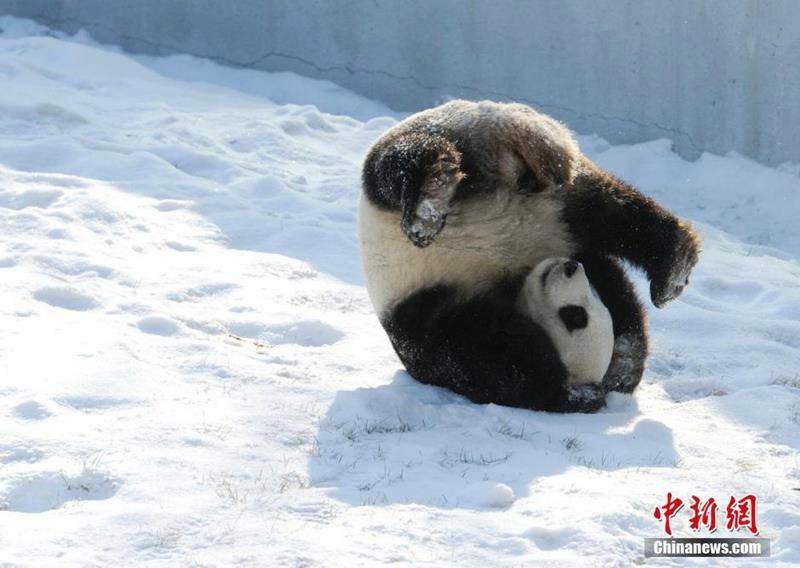 The two giant pandas which were given new homes in Jilin Province, remain in good health, the local zoo said.